When your lands are to be rented by any of lessee, you must have the rental Lease Templates to be able to follow the terms of the contract where it can show the lessee must pay the said dues. It can be opened in example format where the land area that the lessee will take cover can be clearly shown and the limitations that may do in the land itself. You may also see agreement samples. If your land will be leased, it must be indicated in the contract that any unpermitted activity in it will forfeit the contract and may cause for the lessee to be ejected in the said land. You can have the contract state your intention for the land to be in the same state before it is handed to the lessee. 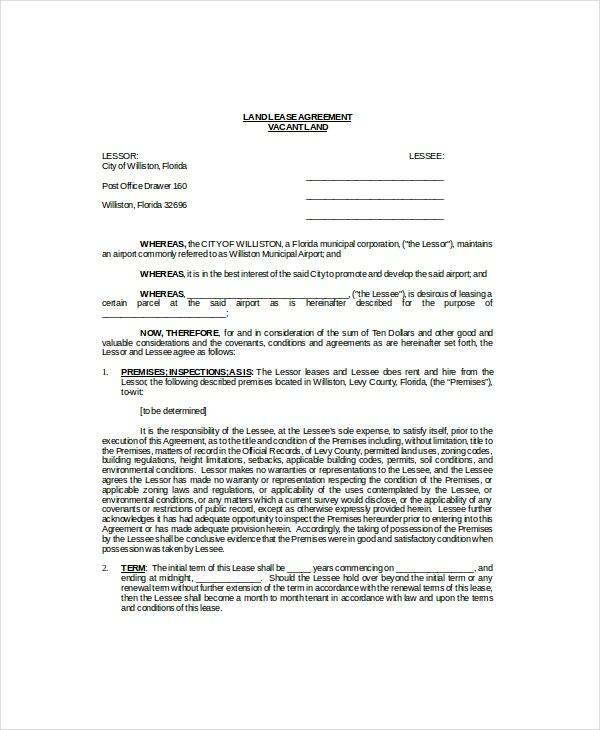 You can also see Residential Lease Templates. 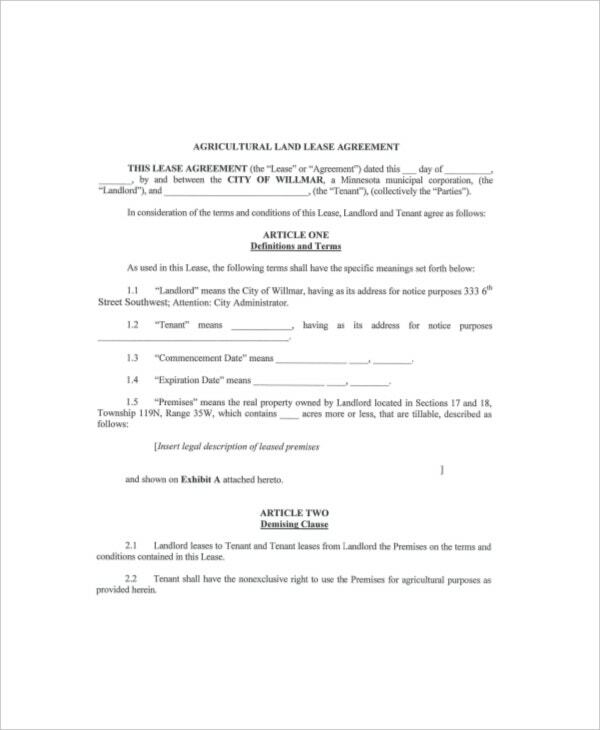 This is a lease agreement template prepared for both the tenant and the landlord to guide them on terms they should consider whenever making a deal so as not to find themselves in quarrels during their term of contract. The template is fully customizable and can be downloaded in various file formats including Microsoft word document format and pdf. 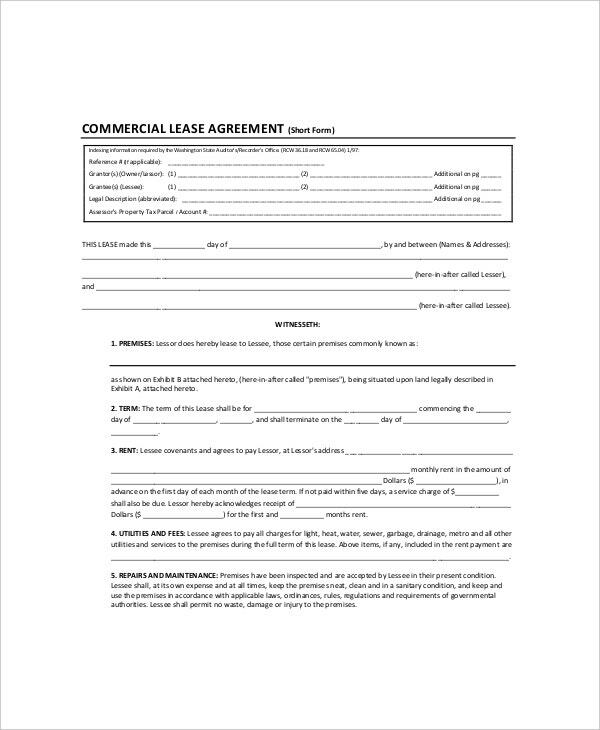 This is a template prepared for landlords and the business or the companies looking forward to rent a premise and use it for commercial purposes. The template has all the terms included which are required in order for the period of their contract to be smooth and free from issues. The template are easily customizable and ready for download in various file formats. 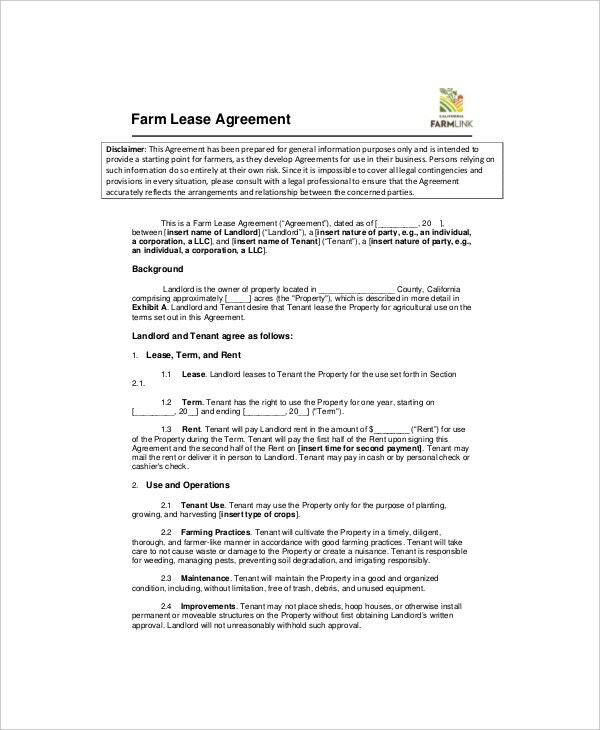 This is a template used whenever a farmer wishes to rent a farm and both parties; the farm owner and the farmer are unsure of what include in the agreement. The templates are fully customizable and are supported in various file formats and can also be edited using different word processing software’s. 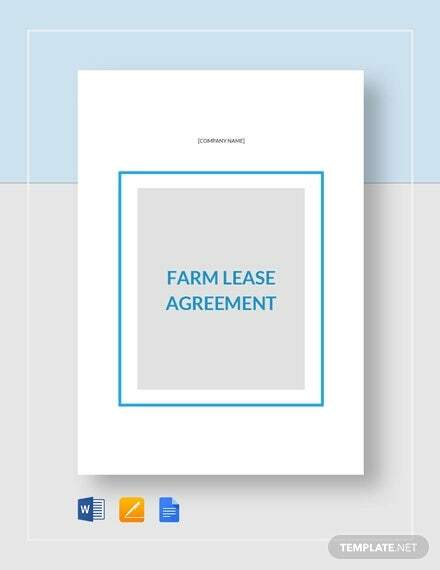 This is a replica of a land lease agreement which is prepared with an aim of familiarizing both parties the landowner and the potential tenant. 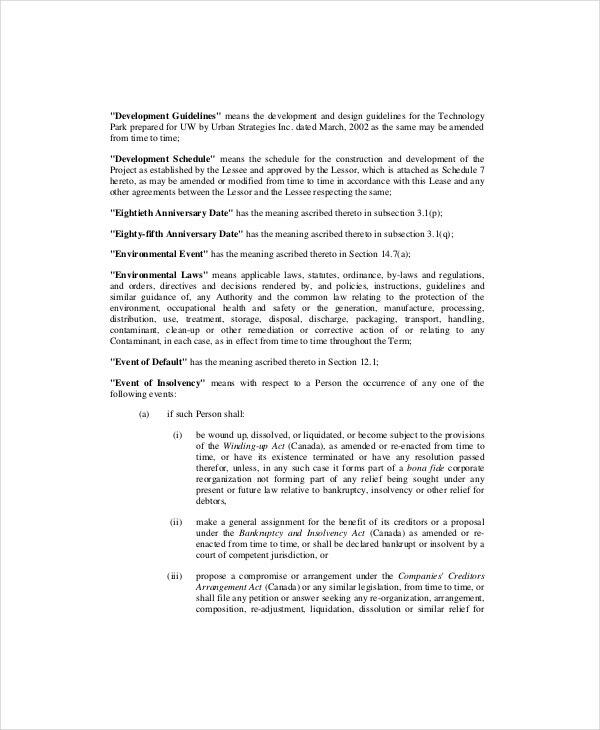 The sample gives the two an overview of the lease agreement document. The sample is fully customizable this makes it be used as a template and it comes in various file formats and free download. 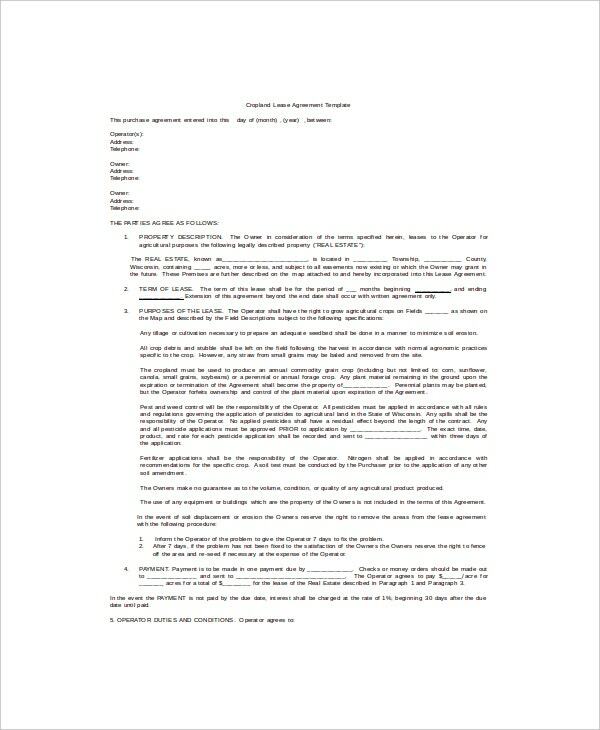 You can also see Lease Termination Letter Templates. 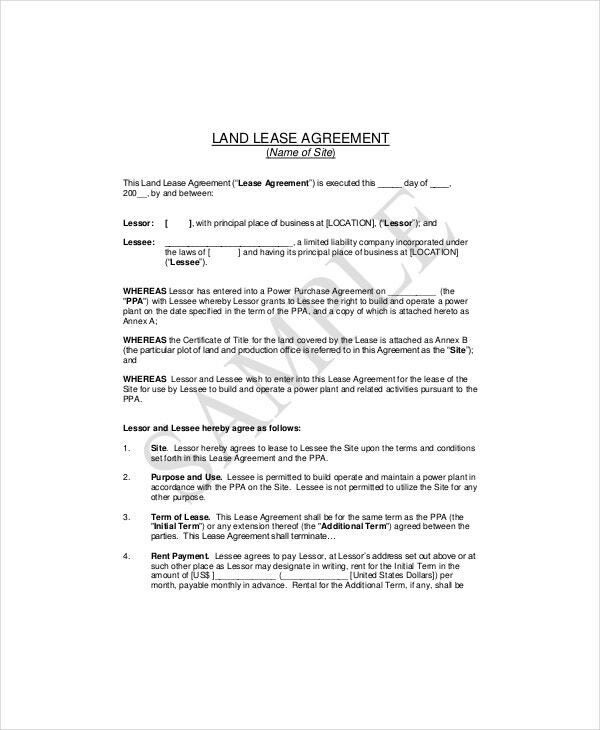 A land lease template is used by the landlords to write an agreement with the tenants which will guide them through the period of their contract. The lease consist of terms and conditions which should be strictly followed and if they are not followed, a legal action can be taken and the party that violated the terms suffers the penalty. With a land lease agreement there is little or no quarrel that arises between the two parties during the period of their contract because there is a rules that guides them. > When do I Need a Land Lease Template? A land lease template is required whenever, you are looking forward to rent a land and you want to familiarize with the details they are expecting to see in the lease document. 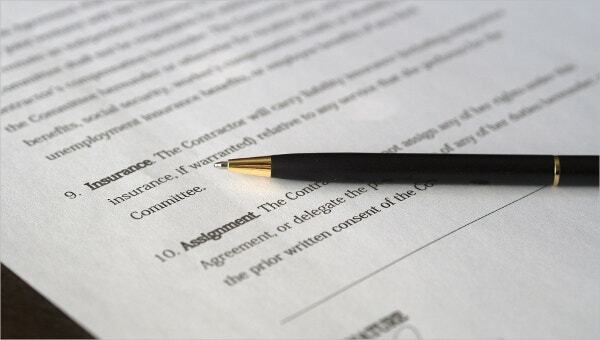 With the template you know what to expect in a lease agreement. You can also see Apartment Lease Templates. The first thing to do whenever writing a land lease agreement is to include legal description of the property the next thing is include the terms and conditions discussed and agreed. The date of the contract beginning and the end should also never be left behind. Writing a lease agreement sometimes is not an easy task especial if you haven’t come across one in the recent past. To write one and ensure its effective you are required to download a template which will guide you through the process of writing. The templates available on our site are fully customizable and can be downloaded in various file formats including the pdf format and Microsoft word.